Deng Adut's family were farmers in South Sudan when a brutal civil war altered his life forever. At six years old, his mother was told she had to give him up to fight. 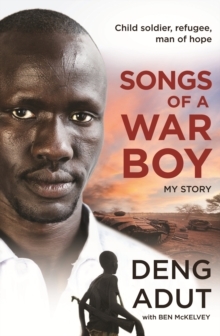 At the age most Australian children are starting school , Deng was conscripted into the Sudan People's Liberation Army. He began a harsh, relentless military training that saw this young boy trained to use an AK-47 and sent into battle. He lost the right to be a child. He lost the right to learn. The things Deng saw over those years will stay with him forever. He suffered from cholera, malaria and numerous other debilitating illnesses but still he had to fight. 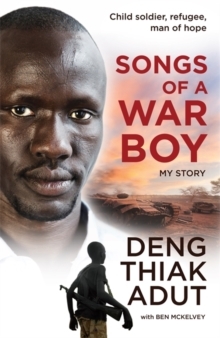 A child soldier is expected to kill or be killed and Deng almost died a number of times. He survived being shot in the back. The desperation and loneliness was overwhelming. He thought he was all alone. But Deng was rescued from war by his brother John. Hidden in the back of a truck, he was smuggled out of Sudan and into Kenya. Here he lived in refugee camps until he was befriended by an Australian couple. 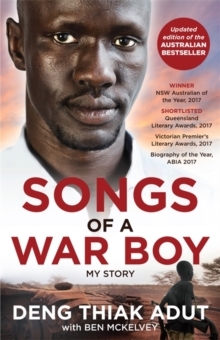 With their help and the support of the UN, Deng Adut came to Australia as a refugee. Despite physical injuries and mental trauma he grabbed the chance to make a new life. He worked in a local service station and learnt English watching The Wiggles. He taught himself to read and started studying at TAFE. In 2005 he enrolled in a Bachelor of Law at Western Sydney University. He and his brother John were the first people in his family to graduate from university. This is an inspiring story of a man who has overcome deadly adversity to become a lawyer and committed worker for the disenfranchised, helping refugees in Western Sydney. It is an important reminder of the power of compassion and the benefit to us all when we open our doors and our hearts to fleeing war, persecution and trauma.